About this course. You all remember solving two simultaneous equations for two unknowns in high school. Linear algebra is the elegant structure that arises when you generalize this to many equations in many unknowns. We will find such algebra problems (involving numbers and matrices) can be beautifully described by geometry (involving planes and angles). Goals of this course include: knowing the theory and practice of solving any linear system you could come across, including learning some methods of rigorous proof. Why is linear algebra useful? The natural and technological world around us is full of complicated systems that respond to stimuli: a bridge moves when a force is applied, the population of one species reacts to a change in population of another. Very often the system is linear (or nearly so) -- twice the input causes twice the output -- this is why linear algebra is everywhere. Every time we do a web search, make a weather prediction, solve virtually any numerical problem in physics, chemistry, biology, engineering, economics, we (or a computer!) does linear algebra. Every molecule of your body is governed by quantum mechanics, which is essentially linear algebra combined with complex numbers. Anywhere your careers take you in science, engineering, or analytics, you will need to solve linear systems -- it is key to understand whether a solution is unique, or even exists. Amazingly, linear algebra, particularly the idea we introduce of a vector space, can be generalized to infinite dimensions (don't worry -- that's not in this course!) 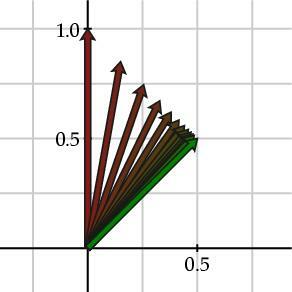 to create the beautiful area of functional analysis (the study of operators on functions, a cornerstone of analysis, partial differential equations, etc). Required book: Linear Algebra and Its Applications, 5th Edition by David C. Lay This is a wonderful book that will serve you well in your careers. Copies have been preordered at Wheelock Books; if they run out do order online, etc. Please make sure you have the 5th edition otherwise problem or section numbers may not match up. For each lecture here we assign ungraded practice problems from the book, where most of your study time will go. Doing these is essential to survival in the course! We strongly recommend you work through these before the next lecture, to cement your learning. If you can do these problems, you should have grasped most material. Each Monday we will post here in PDF format a set of around three written problems which are to be handed in at the start of Friday's lecture. (The 9th and last one will be shorter and due Wednesday.) You should only do these once you have understood your practice problems, otherwise it's a waste of your time. These problems will have space for you to write, will be graded carefully, and are designed to be similar to exam questions to help train you for exams (which comprise the other 80% of the grade). Please make your working/reasoning as clear as you can, write clearly, and staple your work. Late homework will not be accepted. On the other hand, your lowest graded HW score will be dropped (ie you get a "free" HW). Together, these two parts of the homework will cover all material, apart from occasional information about Matlab, which is "bonus" material. Exams: We will try to give you ample time to complete exam questions. "Cheat sheets" and calculators will not be allowed, and there will be no needs for them. The key is to practise problems and old exam questions until you are fluent (see this). Final (Section 1): Monday August 28, 8:00am-11:00am Kemeny 008. Final (Section 2): Sunday August 27, 8:00am-11:00am Kemeny 006. Honor principle. Exams: no help given or received by any means optical, auditory, electronic, olfactory, telepathic, etc. Homework: group discussion and collaboration on practice problems, and problem techniques, is encouraged. The graded work you hand in must be done individually and written up individually (ie no copying). Grade scheme: Your overall grade is computed via: HW 20%, Midterms 22.5% each, Final 35%. Thus it's mostly exams, so you must become fluent and reliable (see above quote)! However, HW is the main chance you get to practise the material and get feedback, so stay on top of it. Grades in Math 22 are not curved; other students' good performance will not hurt your grade, so please work together and help each other out! Special needs: We encourage students with disabilities, including "invisible" disabilities like chronic diseases and learning disabilities, to discuss with us any appropriate accommodations that might be helpful, in conjunction with your undergraduate dean. Let us know asap, certainly in the first 2 weeks. Also stop by the Academic Skills Center in 224 Baker to register for support services. Private tutoring: The Tutor Clearinghouse most likely has one-on-one tutors available for Math 22. The tutors are recruited on the basis that they have done well in the subject, and are trained by the Academic Skills Center. If a student receives financial aid, the College will pay for three hours of tutoring per week. Religious observance: Some students may wish to take part in religious observances that occur during this academic term. If you have a religious observance that conflicts with your participation in the course, please meet with your instructor before the end of the second week of the term to discuss appropriate accommodations.